A major current challenge in biology is to discover and understand short protein tretches that mediate functional interactions. We have developed several methods for predicting these kinds of interactions, and continue to apply them to new problems in biology. Schematic outlining DiLiMOT: our appraoch for finding protein linear motifs that mediate protein-protein interactions. See Neduva et al, PLoS Biol. 2005). Petsalaki et al. PLoS Comput Biol. 2009 Mar;5(3):e1000335. Epub 2009 Mar 27. 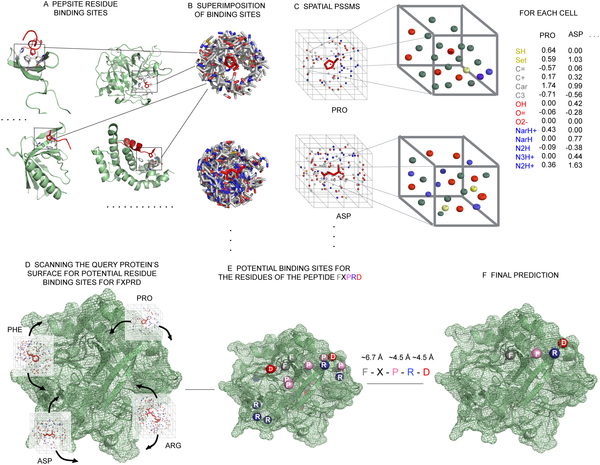 Peptide-mediated interactions in biological systems: new discoveries and applications. Petsalaki & Russell. Curr Opin Biotechnol. 2008 Aug;19(4):344-50. Epub 2008 Jul 12. Linding et al. Cell. 2007 Jun 29;129(7):1415-26. Epub 2007 Jun 14. Neduva et al. PLoS Biol. 2005 Dec;3(12):e405. Epub 2005 Nov 15.